Use the bus. Earn tokens. This concept explores a new way to create a consumer rewards program based on a blockchain. 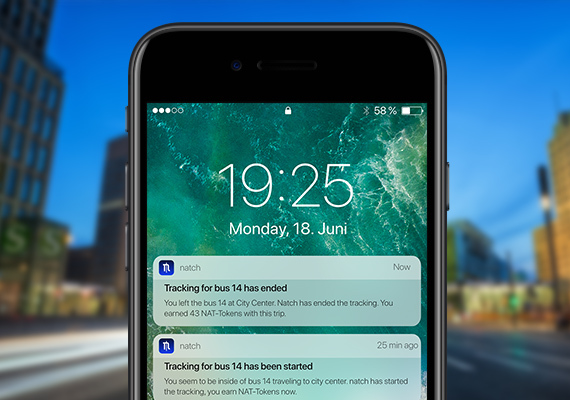 Natch rewards you with tokens if you decide to use public transportation services instead of your car. The NAT-Token could be created on an existing network (i.e. Ethereum) and would serve as a virtual currency within the natch app. 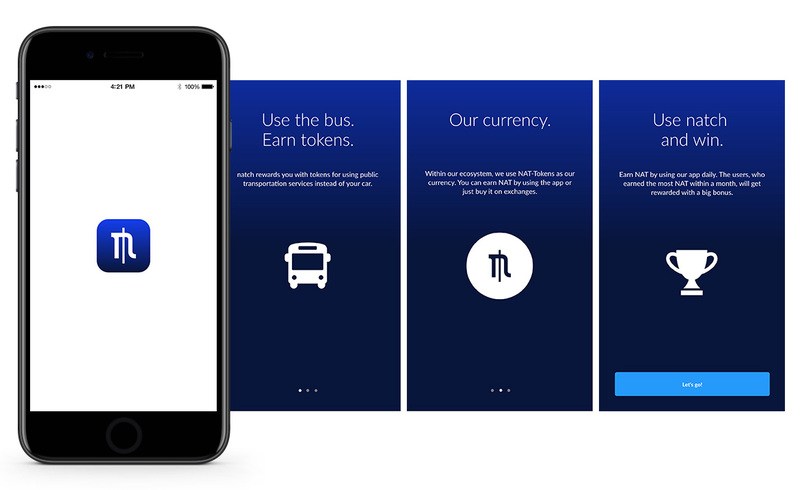 Users would earn a certain amount of NAT for every minute they use a public transportation system and would be able to exchange these tokens for real money or buy discounted tickets. To attract more users, the app also features a gamification approach where you could compete with friends and win additional tokens if you are one of the top users for each month. 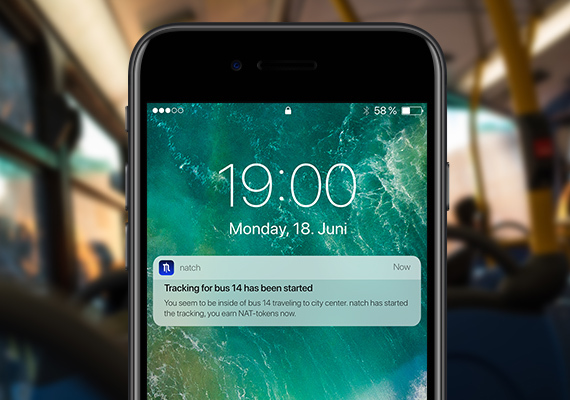 The project mainly focuses on the use case of blockchain in the area of public transportation, not that much on the UI design.